Research says that people remember 10% of what they hear, 30% of what they read and around 80% of what they see. So for your website to be unforgettable, Visual Composer has collaborated with yet another amazing WordPress plugin - Envira Gallery! Envira Gallery is a premium plugin that you can use to create responsive photo as well as video galleries. To make the process as quick and easy as possible, you can start building beautiful galleries without leaving the frontend editor. When do you need to use galleries? At first, you might be thinking, “I'm not a photographer, why would I need a gallery?” But if you open any website, visual elements tend to be the main focus. Galleries are not just for photographers showcasing their work, so let me tell you about more ways you can use galleries in your page. PS. If you are a photographer - even better. You have that much more to gather into amazing galleries. Header - Header is the first thing a visitor sees when opening a website. An interactive header with a gallery is always a good way to grab their attention. Portfolio - A portfolio is nothing without a strong gallery (or many galleries). This is where you can go crazy with the type of gallery. It can have unconventional layouts, lightboxes, it can be a slideshow - whatever you wish. Products - A gallery is perfect for showcasing your products. All types of galleries are very commonly used to show multiple pictures of a product. Event gallery - When you want to tell your visitors about an event, using a gallery would be the way to go. You can add social media sharing buttons to this type of galley so people from the event can share the photos instantly. Knowledgebase - It's not very common, but you can add a gallery to your knowledge base to demonstrate information in a visual way. Team - Galleries are also used to introduce the page visitors to your team. Client logos - You can easily showcase the logos of your clients with a slideshow, for example. Tours - A gallery can be used to show step by step product demos, creating an interactive experience. There are actually no limits in ways to use a gallery on your website. Showcasing your images and videos is all up to you, but know that combining them into a beautiful, responsive gallery is always a good idea. And Envira Gallery is here to help with that. Lightroom Addon - You can automatically sync your Adobe Lightroom galleries with your website. These features are only the tip of the iceberg. There are many more useful features to discover and try, so let's not waste any time and jump into the “how to” part. How to use Envira Gallery? The first step in working with Envira Gallery in Visual Composer is to have both plugins installed and activated. 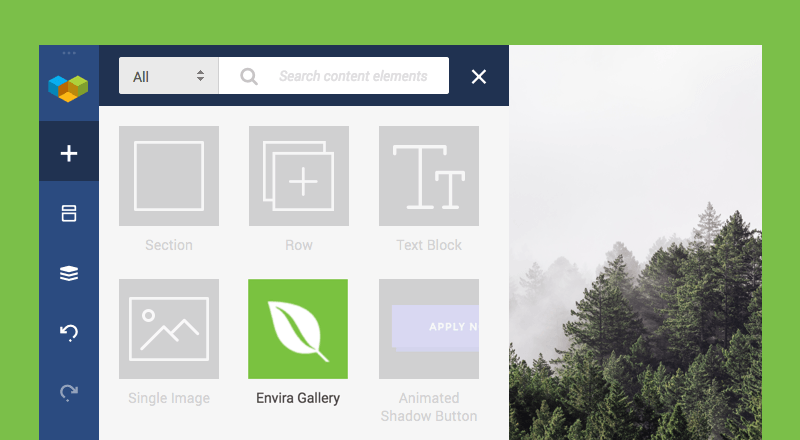 The following is elementary (my dear Watson ‍) - download the Envira Gallery content element from the Visual Composer Hub and simply add the galleries to your page. Enjoy the simplicity of creating a gallery. 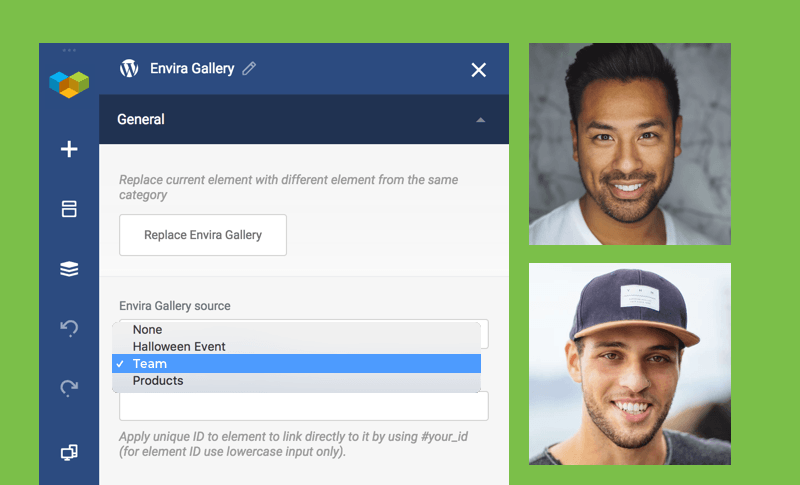 Using Envira Gallery in Visual Composer is just as simple as using any other content element. 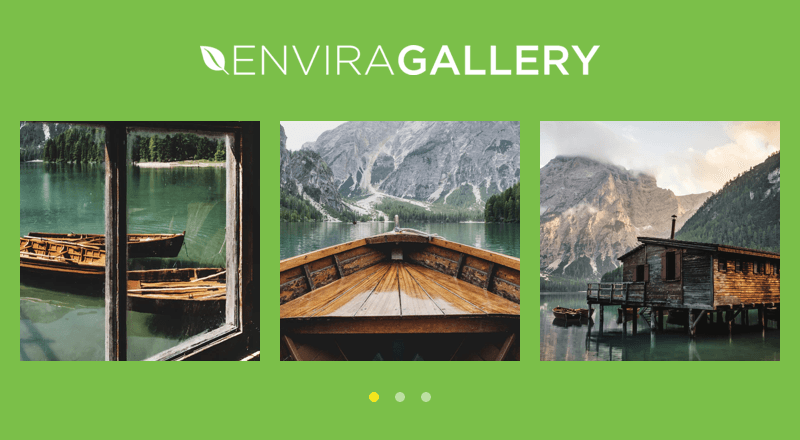 It's about time to check out the perfect conjunction between Visual Composer and Envira Gallery and showcase your best images in beautiful galleries. A creative video making machine, that still believes she's going to be an astronaut one day.